Babblings of a Mommy: Trenta WHA?!? I'm sure you've heard by now that Starbucks is unveiling it's new size TRENTA by May 3rd. Even if you're not a devoted coffee drinker like myself, the 31 oz size has definitely caught national attention. 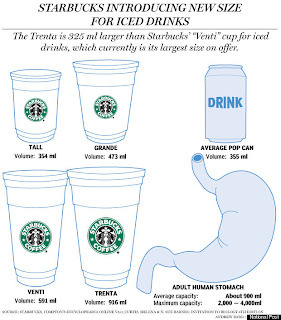 In fact the National Post has released this illustration to show the size of the new Trenta compared to an adult stomach. Look, I like my coffee as much as the next gal, in fact you might even call me a coffee fein, starbucks addict, coffee lover, but is there really a need for this much coffee? I always tend to stick with a tall drink and that's plenty enough for me. 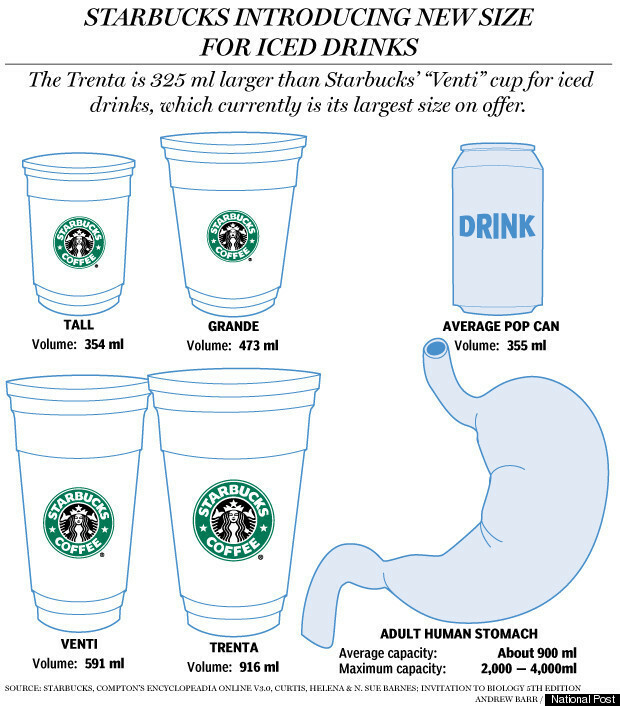 My husband did point out however that a 31oz size is often the size people opt for at fast food restaurants and at 7 elevens with their"Big Gulps". It just seems like such a bigger concern with coffee, don't you think? What do you think of the new Trenta size? Share you thoughts with me!